Possability’s quality assurance program ensures the Quality Management System, incorporating our policies, procedures and continuous improvement program, meets industry standards and fulfills legislative requirements. We have been independently audited and are accredited under the Attendant Care Industry Standard 2013. Read our full Rights Statement here. We take seriously our responsibility to deliver a support environment that is caring, nurturing and safe. 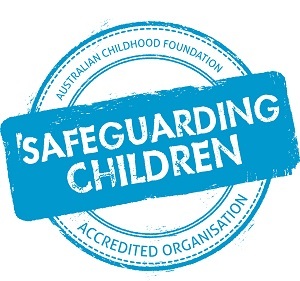 Our organisation has successfully achieved accreditation in Tasmania as a Safeguarding Children and Young People Organisation. Our commitment to safeguarding children is reflected in our policies and procedures, employment and training strategies and our collective organisational culture which is focused on safe, best practice outcomes for children, young people and their families. If you would like to seek further information about the Safeguarding Children and Young People Program please contact us via the Contact Us page.